Animated map illustrates ‘wildfire spread’ of unregulated stem cell clinics in U.S.
Mary Chris Jaklevic has freelanced for HealthNewsReview.org since 2016 and recently joined the staff as a full-time health care journalist. She tweets as @mcjaklevic. A newly published animated map shows how an unregulated industry of stem cell clinics developed in less than a decade, growing from zero businesses in 2008 to nearly 600 in 2016. The map was created by UC Davis stem cell researcher Paul Knoepfler, PhD, and University of Minnesota bioethicist Leigh Turner, PhD, who first documented the proliferation of stem cell businesses in June 2016. While direct-to-consumer stem cell ventures multiplied, the FDA issued fewer than one warning letter per year, with none issued until 2011, the researchers reported in their latest paper. They speculate the FDA either lacked adequate staff and funds to take effective action or was “slow to grasp” the scope of the problem. “Imagine if the Obama (administration) FDA had taken some substantial action in 6-7 years ago on the non-compliant clinics? I doubt that we’d have the scope of problem that we have today,” Knoepfler wrote in his blog. They said the market appears to have expanded, with perhaps more than 700 clinics now operating. The researchers also took aim at the Federal Trade Commission for failing to act against false or misleading ads by stem cell clinics and cited a “similar lack of attention by state medical boards” in disciplining physicians who profit from stem cell treatments. An FTC spokesman confirmed the agency hasn’t taken action but said it had no comment. However, a spokesman for the Federation of State Medical Boards called the statement inaccurate. 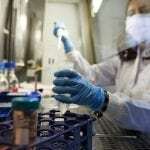 Knickrehm said the federation formed a work group in 2016 to evaluate the “prevalence, promotional practices, and incidences of patient harm related to regenerative medicine and adult stem cell therapies” and plans to release its findings in May along with guidance for regulators and state medical boards. Regulators failed to stop a “wildfire spread” of questionable stem cell clinics, two researchers say. Extinguishing the current blaze of unregulated clinics could amount to “a huge task that the (FDA) has indicated they may not have the bandwidth to tackle in total,” Knoepfler wrote. So far that has yet to be seen. There has been an uptick in enforcement under FDA Commissioner Scott Gottlieb, MD, who took over in May 2017. Since August the FDA has announced actions against American CryoStem Corp. in Monmouth Junction, N.J., StemImmune in San Diego, and U.S. 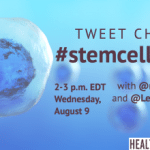 Stem Cell Clinic in Sunrise, Fla. The FDA said physicians had been directed by the company to administer the product by various routes including inhalation and injection or infusion into the central nervous system. Click here to see a compilation of our recent stem cell coverage.